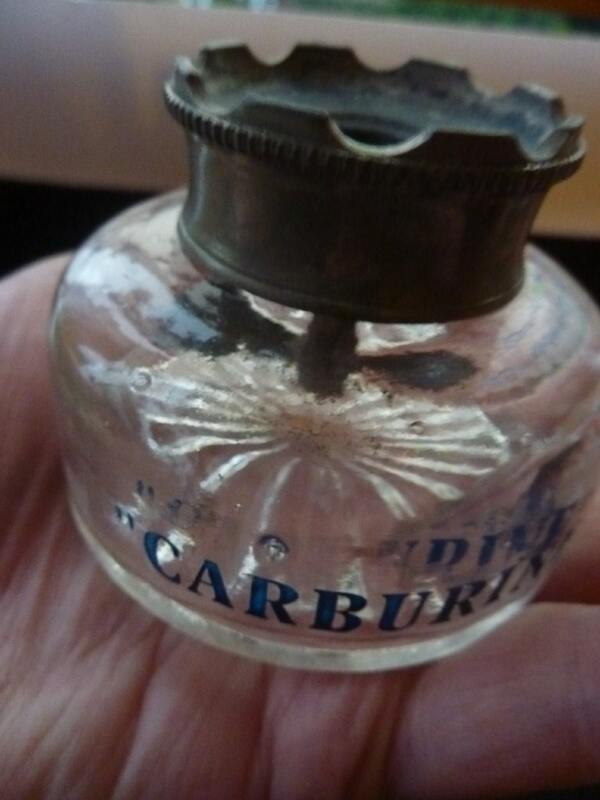 This is a rare early 20th century advertising inkwell - made to advertise Carburine Motor Spirit / Oil. Dating to around the 1920s - if not slightly earlier. 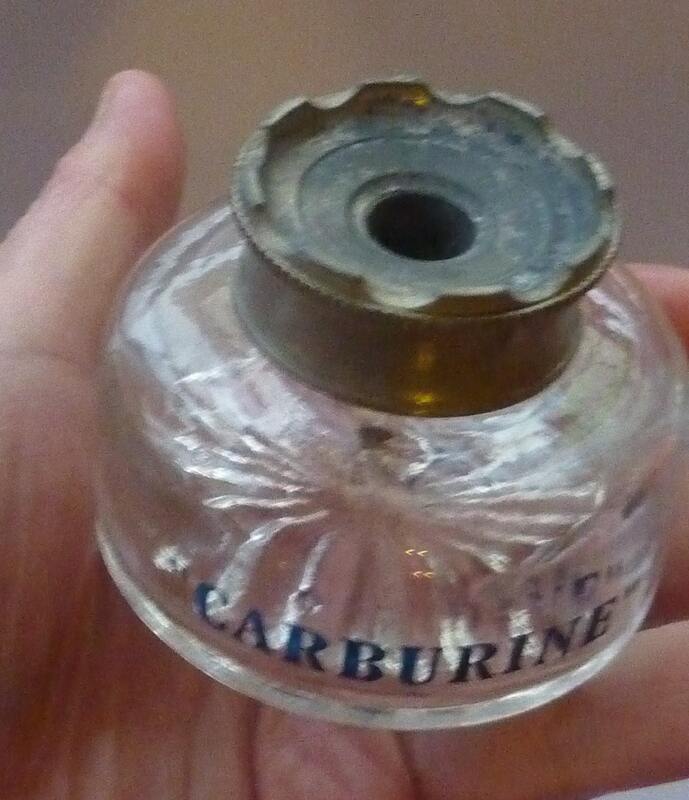 This takes the form of a glass inkwell with a white metal wheel hub or radiator cap forming the top of the well. 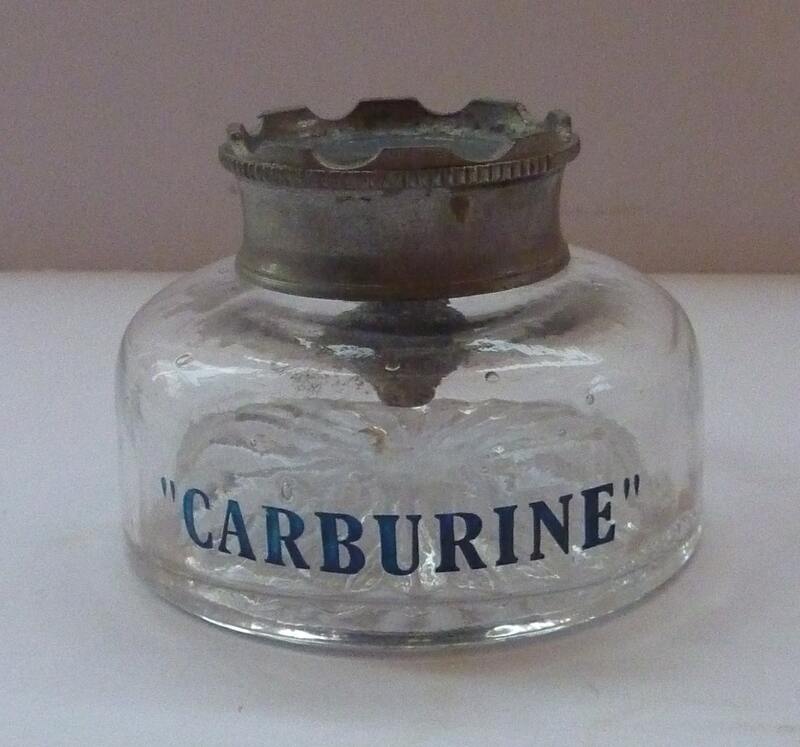 The glass inkwell base has a nice cut starburst decoration on the base - and the name CARBURINE etched on the side and filled with blue enamel. These inkwells would have been presented to the owners of smart garages who sold the oil or motor spirits - and this would have sat in a prominent position on their private sales desk, perhaps for writing receipts etc to customers or clients. 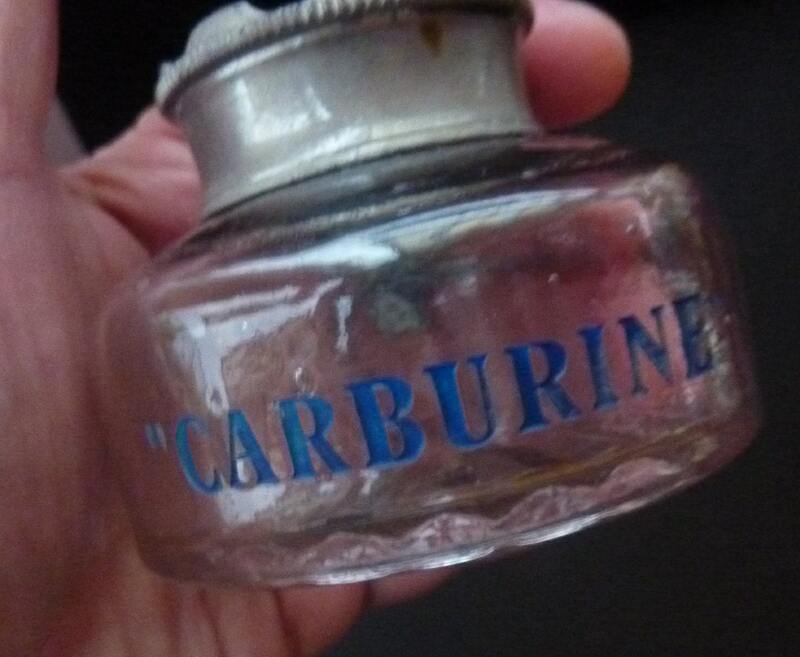 These early motoring advertising items are very rare, and I have NEVER seen another inkwell adversting Carburine - but there is keen interest in vintage enamel signs and petrol cans advertising their products. The collar section takes the form of a motoring cap; it screws on and has a little hole in the top to dip in a quill pen or one with a simple nib. 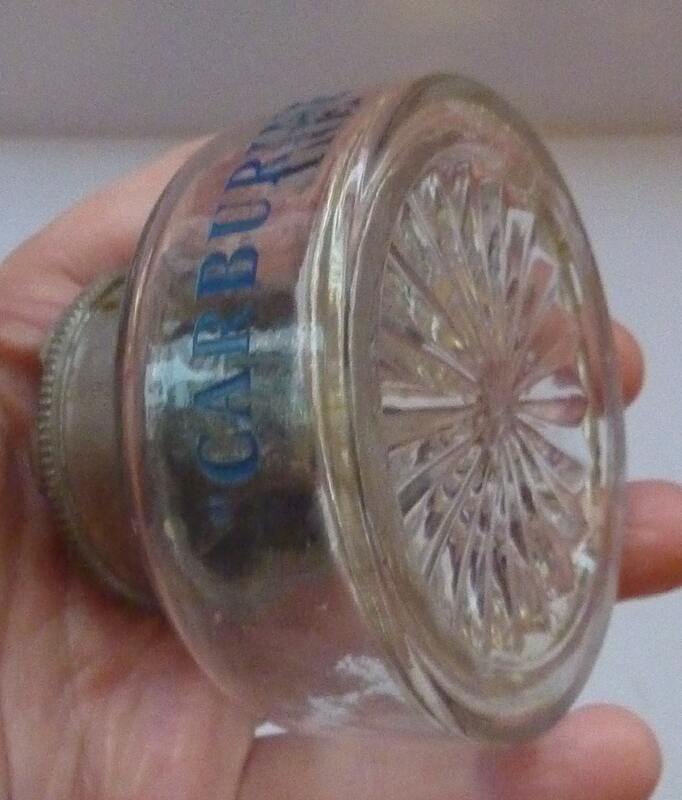 It is a lovely item for the collector of early motoring items - or writing collectables. My asking price reflects the rarity value of this special item. It is in excellent condition with no damages: it is 5 cm in height from the base to the top of the metal collar, and has a diameter of 7 cm.